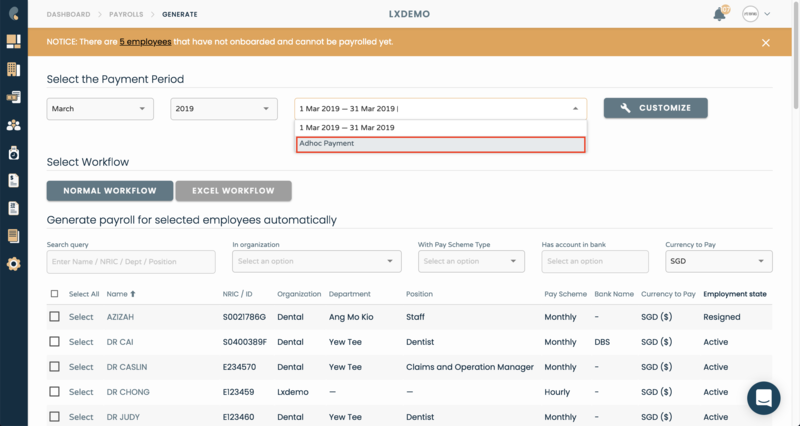 The Adhoc Payroll feature allows you to generate separate payrolls for different purposes. When generating an Adhoc Payroll, your employees basic salary will not be taken into the payroll generation. 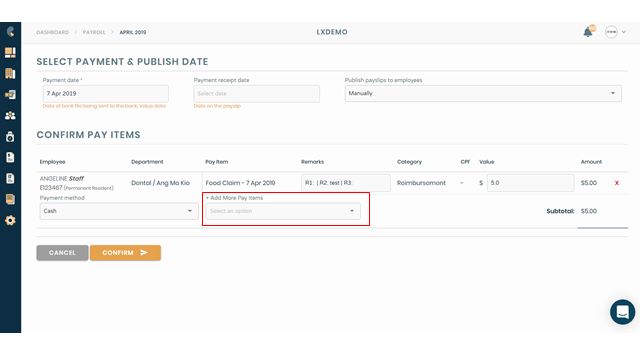 You can use Adhoc Payroll to generate claims separately from the monthly payroll as well. Then select the employees that you want to run adhoc payment for > Click Begin Payroll Generation. Unpaid claims will appear on the payroll generation page as highlighted below.